The view just doesn't get any better than this! 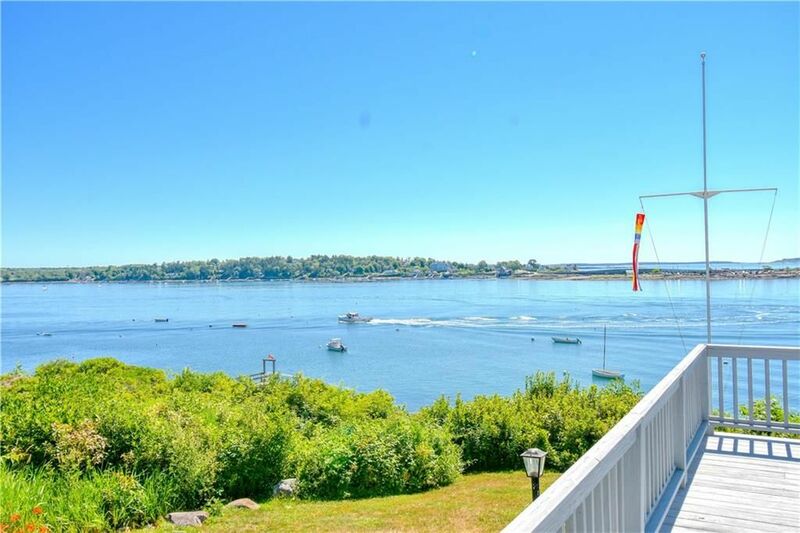 Enjoy the ocean with views of the Cribstone Bridge and Cook's Lobster House from practically every window in this gorgeous, well-maintained, year-round home near Stover's Point. A large, bright kitchen, a water-facing, open concept living/dining room, and a 1st floor master bedroom with full bath gives this home the perfect combination of luxury and convenience. This property features 80 feet of private ocean water frontage, 2,164 square feet of living space, 4 bedrooms total, 2.5 baths, a 2 car detached garage, a tastefully and recently renovated mud room, and a large wrap around deck. Working wood fireplace, hardwood floors, Anderson windows, brand new paint throughout. The last house on a quiet dead end street, it's the perfect marriage of privacy and community. Arguably the best view in the neighborhood! Easy to show, come take a look for yourself!